JH: What drew you to the Bryce 100 race? SM: I decided to do Bryce 100 after I saw that several Nashville friends were planning on running the race, and I also chose it because it was at a more temperate time of year in the mountains in early June. I don't do well in heat, and the average highs for the race were in the low 70s. The scenery was also supposed to be spectacular in the Bryce Canyon area. 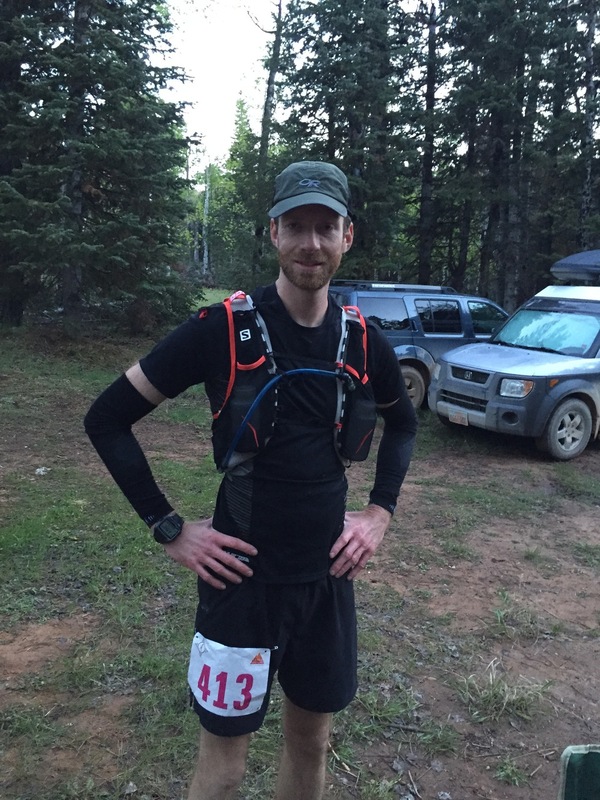 JH: How did your training differ from your first 100 mile race? SM: When I was training for my first hundred last year, I focused solely on running as many miles as I could handle, with most of them at a very slow pace with a lot of hiking mixed in. This time around, I did a little less mileage, raced some shorter distances during my training, and included some speed-work. There's a big mental component to completing the 100 mile distance. I knew I could do it this time since I had one under my belt and didn't worry as much about my total mileage in training. I averaged about 60-70 miles per week in training this time. It was enough but ideally I would do more miles and still include speed. JH: Did you encounter any difficulties during this race? SM: Bryce definitely delivered on the beautiful mountain scenery, but seeing miles upon miles of that came with a price, going over some very tough terrain with average altitude between 8,000 to 9,000 feet. In a marathon you may only 'bonk' once, towards the end of the race. My first bonk was around mile 26 and lasted a couple of hours. I battled with nausea multiple times during the race. But if you slow down, stop when needed, take in more calories, and be patient, you bounce back and eventually feel like running again. I just kept reminding myself that I just needed to keep putting one foot in front of the other, no matter how slowly. JH: Any fun moments that stuck out to you during the week of the race? SM: The week of Bryce I had booked a teepee that was on the campground of a local motel. I ended up only staying one night in the teepee because the temperature dropped down to 29 degrees (in June) overnight and I did not have proper gear for that! During the race itself the temperatures ranged from upper 30s to about 70 degrees for the high. We also had rain, thunderstorms, and hail at various points. I also met some cool people also running the race. I talked with one guy in particular multiple times during the race and we were encouraging each other. I passed him for the last time around mile 60 as he was walking, and he ended up being the final finisher of the race, only 7 minutes before the official cutoff! I had my parents and two friends crewing for me, and my friend Daniel ran the last 16 miles with me, so it was awesome having those people there to support me.